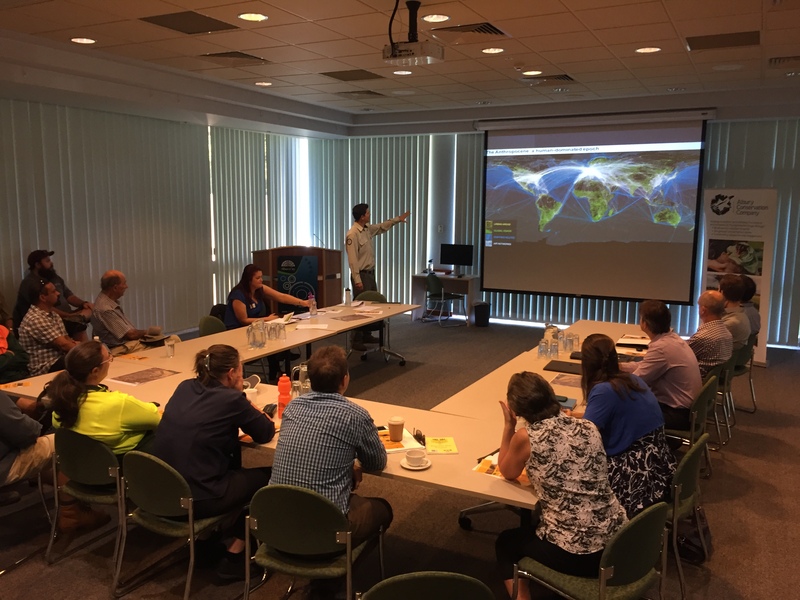 A workshop targeting the local development industry was held today, hosted by Albury Conservation Company in partnership with Albury City Council and NSW Department of Industry – Lands. The workshop’s theme was hollow-bearing trees (HBTs) – their local distribution and characteristics, and their management in a landscape becoming increasingly urbanised. 24 people attended the event, including representatives from six of Albury /Wodonga’s major development consulting firms – Eslers Land Consulting, Spiire, Habitat Planning, Development Outcomes, Blueprint Planning, and SJE consulting. Also attending were Dr Amanda Cohn (Deputy Mayor Albury), and a number of staff from Albury City Council and NSW Department of Industry – Lands. The group received presentations about hollow-bearing trees and their management from three speakers. At the conclusion of the presentations a bus tour of sites was conducted, visiting Bells Travelling Stock Reserve and Spring Park Estate (Table Top), Ettamogah Rd and Bishops Walk Park (Thurgoona), and Bellevue Estate (Lavington). 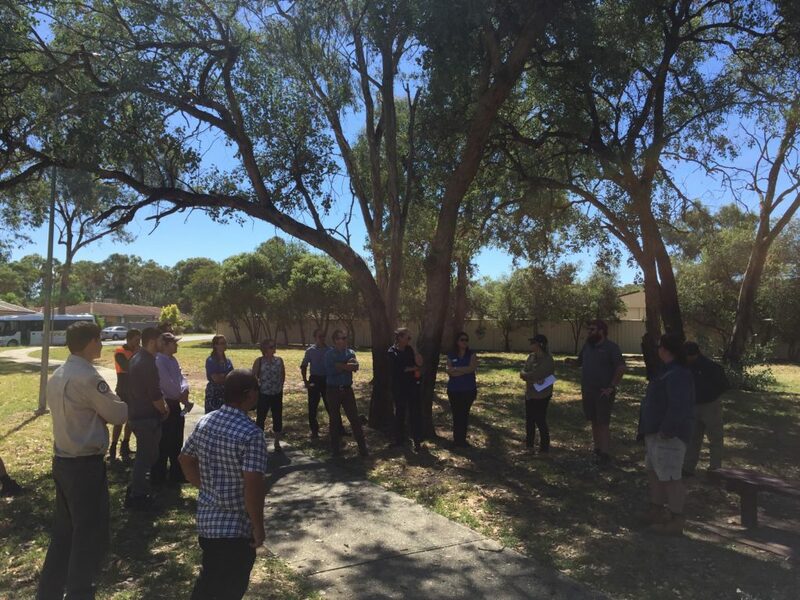 The purpose of the site tour was to discuss hollow-bearing trees and their management in Albury’s urban growth area. Hollow-bearing Tree (HBT) workshop, Albury – Site tour around Thurgoona / Wirlinga including Bells Travelling Stock Reserve at Table Top. 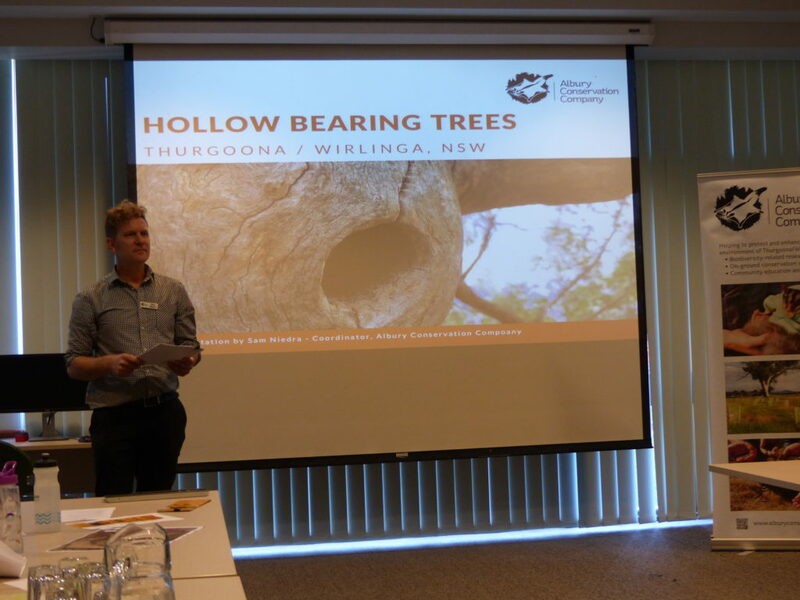 The workshop concluded a project that has been running since 2015, and has mapped 523 hollow-bearing trees across Thurgoona / Wirlinga. An infographic summary of the project can be found below. The hollow-bearing tree data and photos collected during the project have been supplied to Albury City Council for establishment of a significant tree overlay on their internal mapping software. This information is readily accessible by Albury City Council staff when assessing Development Applications (DAs), and when planning other infrastructure works and roadside management activities. The overlay is also now accessible to parties submitting DAs, the majority of which are development consulting firms like the ones who attended the workshop. The project was kindly supported with funding by the NSW Government’s Environmental Trust, through its environmental education grants program. For more information about the project please contact us – send an email to [email protected] or call 0447 183 7467 (Sam).